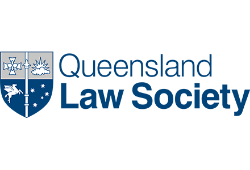 Solicitors have experienced an increase in inquiries from Queenslanders about workplace bullying. These people are often experiencing high levels of stress or depression. In addition to the dramatic impact on employees’ health, the Productivity Commission released a report in April this year which estimated that stress-related absenteeism and presenteeism were directly costing Australian employers around $10.1 billion per year, and the cost to the economy was around $14.8 billion per year. Cases like that of Brodie Panlock, a 19-year-old woman who committed suicide after being subjected to bullying by her workmates at a Melbourne café in September 2006, are becoming more common. Ms Panlock’s colleagues were fined a total of $335,000 when they pled guilty in the Melbourne Magistrates Court and her father called for a change in the law to include a custodial sentence for offenders. There is often confusion around what exactly constitutes workplace harassment according to Australian law. The Queensland Department of Justice and Attorney-General defines workplace harassment as behavior, other than sexual harassment, that “is repeated, unwelcome and unsolicited, the person [subject to the behavior] considers to be offensive, intimidating, humiliating or threatening, and that a reasonable person would consider to be offensive, humiliating, intimidating or threatening”. It is also a misconception that workplace harassment can only be committed by a single co-worker or employer. Workplace Health and Safety Queensland says that it can also be committed by a group of co-workers, a client, or a member of the public.